RED Stamp is a leading manufacturer of automated material handling equipment for the Distribution Industry. Our customers can be found throughout the industry utilizing our equipment and services to minimize the cost of order fulfillment, reduce manual touches, improving product flow, and reduce downtime. RED Stamp carries a full line of tax stamping system solutions including Thermal Tax Stamping Machines, Digital Tax Stamping Machines, and Hand Stamping Systems for your operation needs. 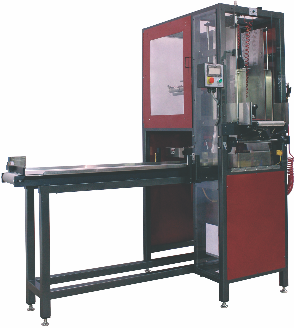 RED Stamp’s Automated Case Cutting Systems are designed to decrease or eliminate the manual box cutting process to promote safety and preserve costs. RED Stamp offers assorted cutters to meet your operation and application needs including top cut, window cut, 3 sided, deep corrugate, shallow air-gap, and precision cuts. RED Stamp’s Case Packing System offers a fast, low maintenance alternative to manually packing cigarette cartons into boxes or totes. Cartons feed into the packer where they are automatically lined and loaded into boxes or totes where it is then ejected onto a work table or conveyor. RED Stamp’s Strapping System allows for single or multiple totes or boxes to be securely strapped for shipping. The Strapping System is accommodating to your inline operational needs with the ability to strap single totes or larger models that can strap up to 14 totes. 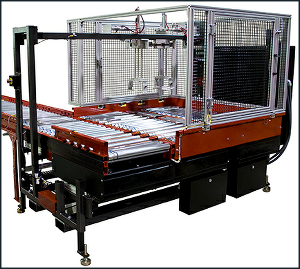 RED Stamp’s splitting system is fully automated for separating 12M cigarette cases after they have been cut. 12M boxes are diverted to the splitting station where they are separated and presented on the conveyor line cut side up. 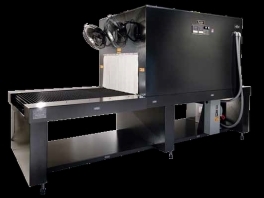 The splitter automatically differentiates 12M cases and will bypass all other sizes. RED Stamp’s Case Topper is a fully automated option for the removal of 6M box tops. 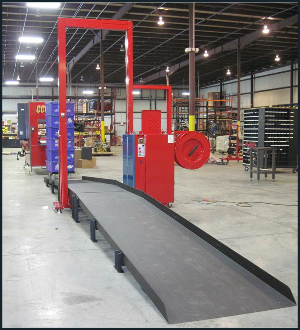 The Case Topper machine promotes safety, consistency, and dependability for your operational needs. 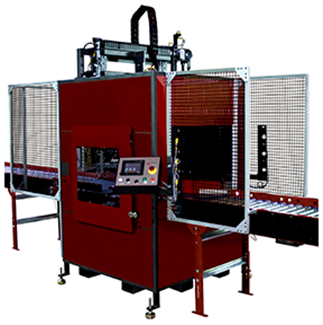 RED Stamp’s Heat Shrink Wrapping System is an inline solution for order protection. 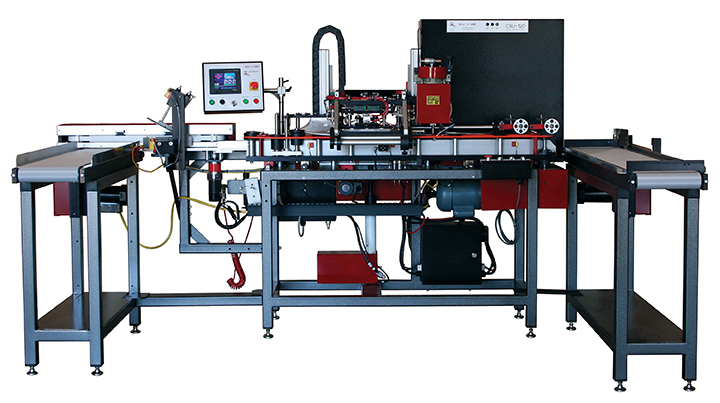 The automated Heat Shrink Wrapping System protects orders with film before being heat shrunk through a conveyor system.